The interview was recorded on the 14th October 2011. An MP3 of the interview can be downloaded from here. A transcript of the interview can be downloaded from here. 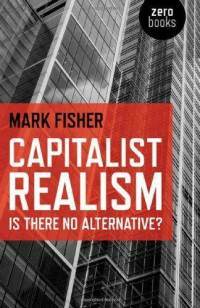 'Capitalist Realism: Is There No Alternative?' is published by Zero Books. The aim of this blog is to provide detailed audio/written interviews with authors of non-fiction social, political, philosophical, and environmental books. Its aim is also to increase rational awareness, critical thought, and compassion.